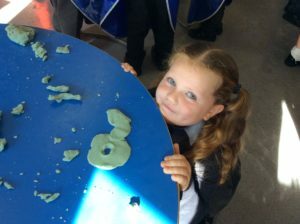 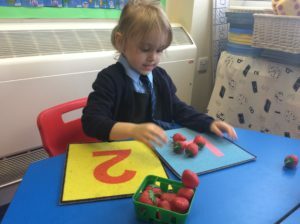 Reception is also Early Years Foundation Stage (or EYFS), and that is exactly what we are – the foundation for your child’s learning journey! 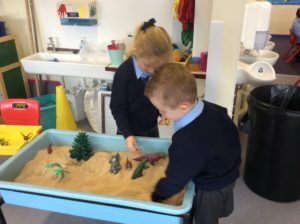 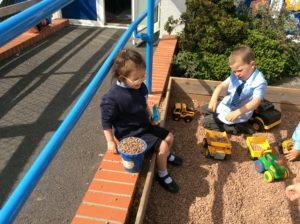 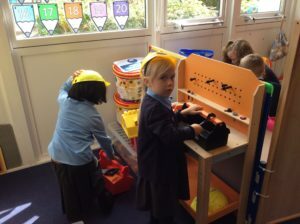 In Reception, children get used to being at school and being a member of a large class. 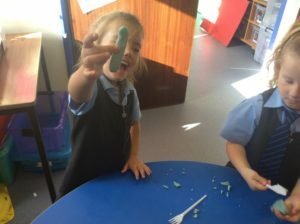 We start to learn about school routines and we continue to develop independent skills. 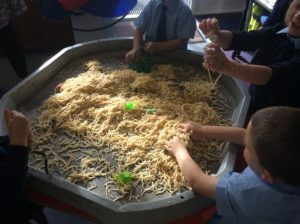 Thank you to all the EYFS parents who have returned their forms with their details for “Tapestry”. 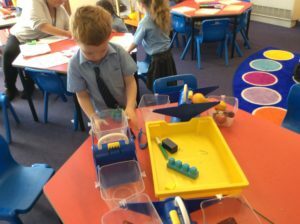 Mrs Lobb has entered all the details that she has received and those parents will be receiving an activation e mail soon. 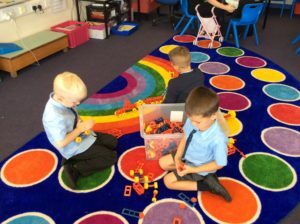 If you have any problems with this process, please see Mrs Lobb. 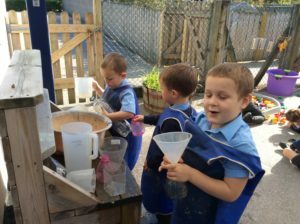 Once you have activated your account, please be patient as we are awaiting permission of all parents before we can let our observations “go live”. 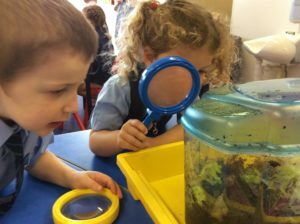 Once we do “go live” I am sure you will be thrilled with the insights into your child’s learning. 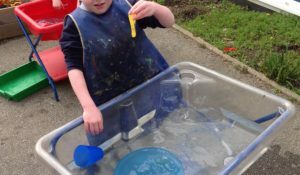 Your child will love talkng to you about the pictures of their learning too. 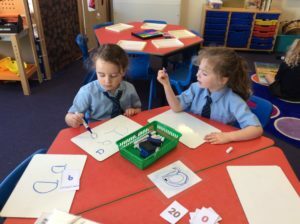 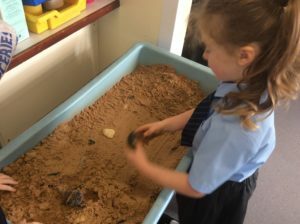 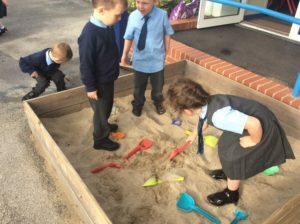 The amount of learning in Reception year is vast. 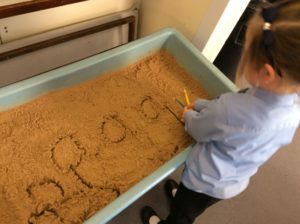 As you’d expect, we learn everything involved in the curriculum – phonics, reading, writing, maths and PE – however, so much of our learning is also about maturing, resilience, self-confidence, relationship building, taking turns, communicating effectively, self care, developing a great attitude to learning, gaining enthusiasm for school… the list is endless and SO exciting. 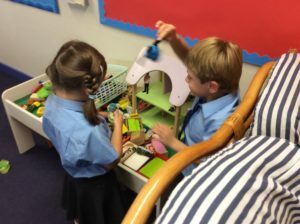 We have been very busy settling in to life at “Big School”. 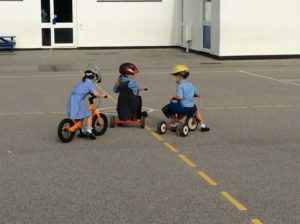 Play purposefully, make new friends, help each other, try new things and listen carefully. 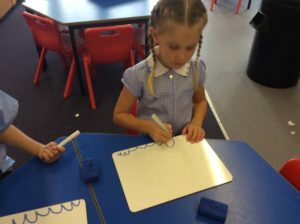 We have been learning our first phonic sound this week -s ! 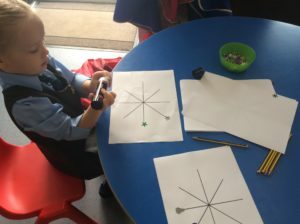 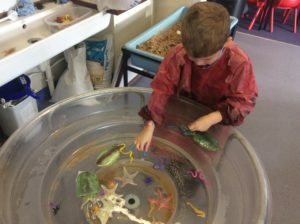 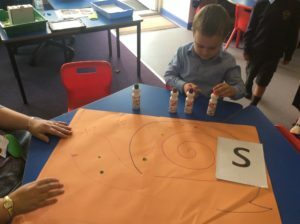 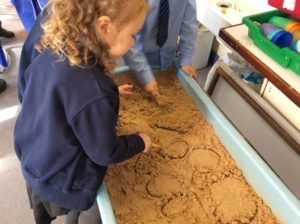 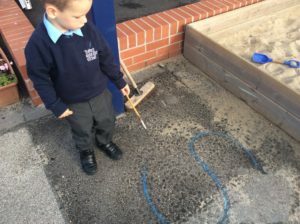 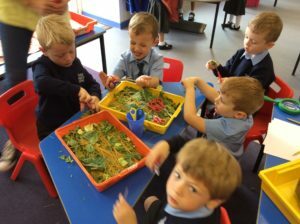 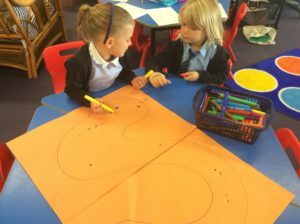 We had some very exciting visitors – snails, we had stones in the sand, we drew spotty snails and snakes and spiders, we played with slimy spaghetti, we did lots of cutting with scissors and we did sticking with sequins. 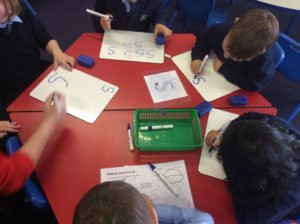 The whole classroom was sssssssssuper ssssssssstimulating! 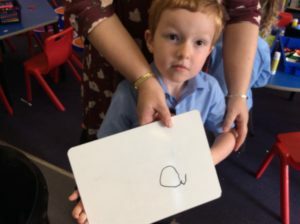 This week we have been learning about “a”. 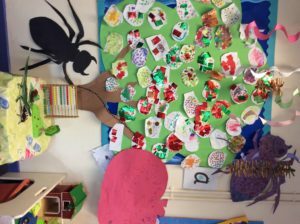 We collaged some giant ants, cut up apples with knives and forks, used the balances to find things that are heavier and lighter than apples, made beautiful apples to stick on our apple tree and made “a” shapes with playdough. 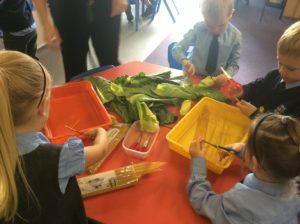 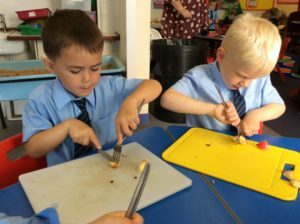 We have also been doing a lot of “The little red hen” learning – we have learnt to tell the story with actions, collaged all the characters from the story and baked bread. 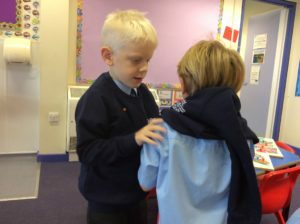 We have even acted the story out with masks. 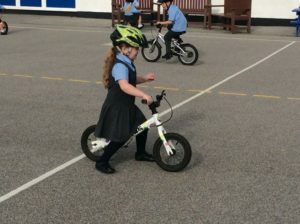 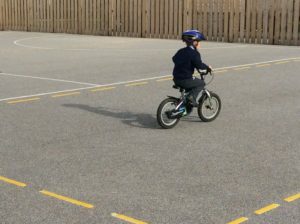 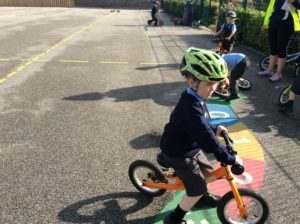 On top of all this excitement, we have also fitted in learning “Wake and Shake”, ridden the bikes and scooters, done lots of learning in the yard and had a PE lesson. 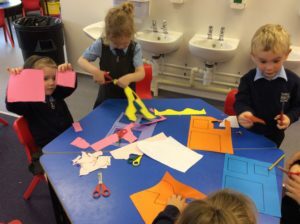 We are also concentrating on using scissors carefully and we have brought home our sounds books to practise at home. 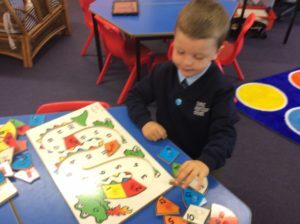 What a busy week for our aaaaaaaamazing learners! 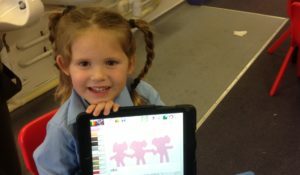 We keep families informed about their child’s progress through a learning journal online through Tapestry. 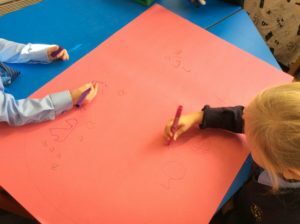 It’s a really effective way for parents and teachers to communicate about their child’s learning. 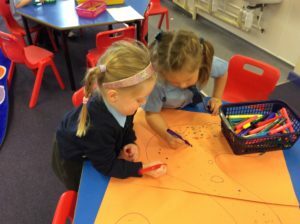 You’ll get your own login and will be invited to a meeting in September where we explain how it all works. 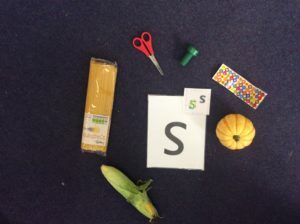 As the children learn their individual phonic sounds they will bring home lots of things that they can practise. 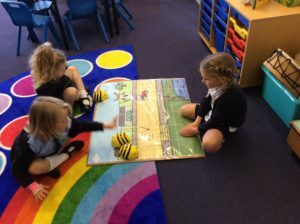 Similarly they will be expected to practise their reading on a daily basis. 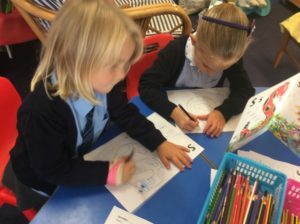 Each child will have library books that they can share at home and these will be changed regularly. 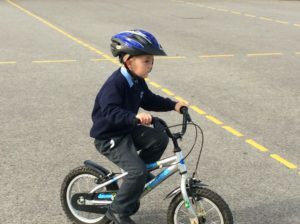 We’ll let you know if there is anything else that you child would benefit from practising at home. 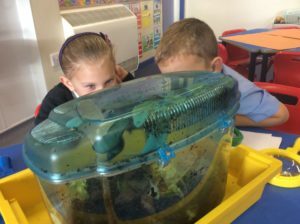 Would you like to hear readers or volunteer in the classroom? 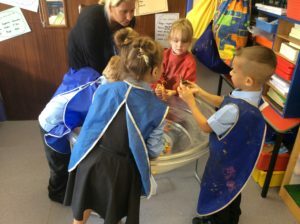 Please let us know if you are interested in volunteering in the EYFS classrooms. 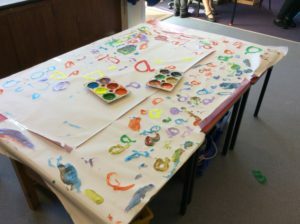 Do you have any old shirts you could donate to the art shirt box? 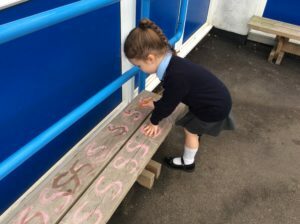 We’d be very grateful if you do! 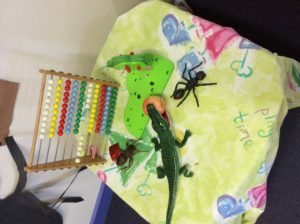 If you have any concerns about your child at all, please come in and speak to us. 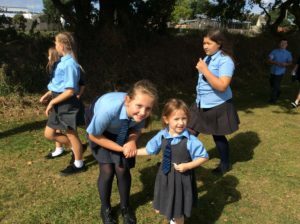 It’s always best to talk to us as soon as possible if you or your child are unhappy about anything so that we can resolve any issues quickly. 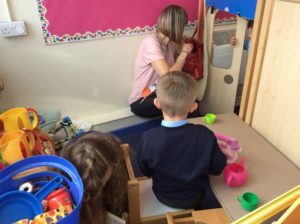 We have more time available to speak to parents after school than before school, but in an emergency of course pop in anytime. 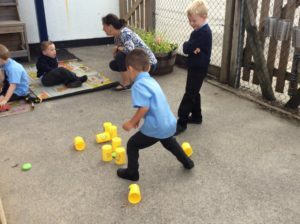 A change of shoes and a waterproof coat on Fridays for our Welly Walk – rainy welly walks are the most exciting!